ONE-WOMAN SHOW: Sallyanne Austine hasn’t taken a vacation in eight years. That’s all going to change in a few weeks, she says, when she closes The Nail Spa in Nantucket, Mass., for three weeks and heads off to a tropical paradise. Her much-deserved vacation comes after 17 years of doing nails four years of salon ownership. After attending cosmetology school in New Hampshire, she moved to Boston where she managed a salon for five years, tired of city life, she decided to return home to Nantucket, but found work was too seasonal. She settled for working at a salon on Cape Cod, and that’s where she found her true passion, natural nail care. Getting the location had proved to be easy, but building it was not. “I designed the salon myself with the help of an architect and builder. Then i went through numerous battles with various town boards to build the salon adjacent to my home,” says Austin. After nearly a year of battles planning and zoning commission before she could even start the building process, Austin spent another year completing the building. Throughout all of these obstacles, Austin never lost sight of her goal. “I was constantly on top of this project and even called off my wedding five months before the date to concentrate on opening my salon,” says Austin. 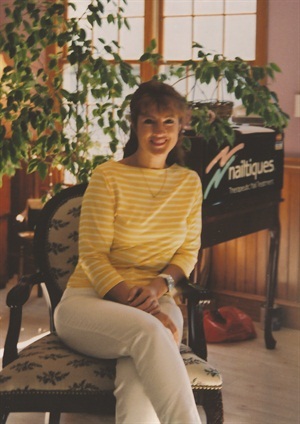 She finally saw her efforts pay off in 1999 when her salon opened. In addition to owning and managing the salon, she started out as the sole nail technician and hairstylist and has maintained her single status. HOITIE TOITIE: With a clientele that rival Barney’s, Austin is used to catering to the rich and sometimes-famous. Austin’s salon is located directly across the street from the local high school and is surrounded mostly by businesses including other salons, an orthodontist, and a market. “It’s in an area that most people have to drive through at least once a day, which is why the location is so perfect.” says Austin. The summer brings more vacationer and summer residents, which is when she hires help. And even though Austin’s location is seasonal to most peop0le, she still has a year-round local clientele that she worked hard to build. Austin says even if she’s only seeing five clients a day, she’ll stay open, but just cut back her hours. Her warmth has been well received by clients and she says she actually embraces the winter, because it’s when she’s able to enjoy her clients the most. The nail spa’s interior is simple with Austin’s aim being comfort. She chose lavender for the salon’s walls and a Victorian decor. Even with the Victorian decor, Austin says she still has a lot of male clientele, but women 18-60 make up her basic clientele..
“I worked in a friend’s barber shop for the year my salon was being built and I built up a good following of male clients while I was there,” boast Austin. 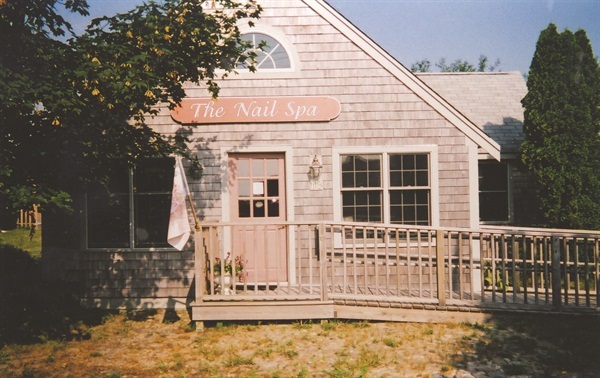 SUCCESS SECRETS: Because of the small community and close-knit social circles of Nantucket, the nail Spa’s best form marketing has been word of mouth. Austin’s foresight to open a chemical free salon in her area was true to mark and the word-of-mouth marketing stems from the salon’s signature service, natural nail care. Despite her busy summer season, Austin prefers to keep her staff small. As for future expansion, Austin of course, has a plan.